Deep seated organized political and systemic corruption and growing population are major hindrance to the development of the country, said former Chief Justice of India and National Human Rights Commission Chairperson, Justice H.L. Dattu. 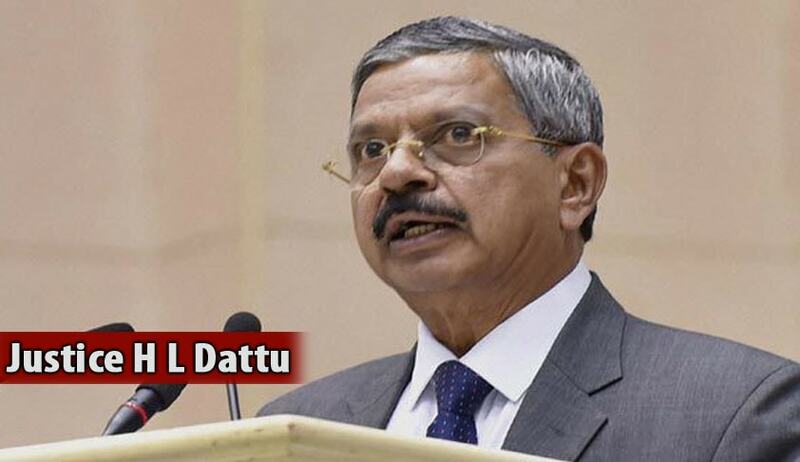 Justice Dattu was inaugurating a two day National Seminar on 'Good governance, development and human rights', organized by the Commission in collaboration with the National Law University at its campus in New Delhi on Friday. Corruption destroys economic foundations, impedes the ability of developing countries to attract foreign investment. It also hinders the growth of democratic institutions affecting human rights, he reportedly said. Former CJI also added that the best way to combat corruption is that the governments must strive to rid themselves of corruption and bribery and should become accountable and transparent in order to preserve the integrity of democracy. Two day national seminar on 'Good governance, development and human rights', organized by the National Human Rights Commission in collaboration with the National Law University concluded yesterday. The seminar highlighted, the lack of awareness about the laws, rules and policies at the grass roots level and people's inaccessibility to governments. It was felt that the governance required to be more transparent, simplified, using easy digital technologies as a two way communication tool to give the people benefits of the welfare policies and get their feedback. It was also felt that the definition of health care needed to be expanded in the Indian context. It was also suggested that a provision should be made in the higher education curriculum for the students to visit places to sensitize people at grass root level about their rights and remedies for the redressal of their grievances.